Court proceedings against RK Pachauri, the former chief of The Energy and Resource Institute (TERI), started Monday. The 75-year-old, who faces charges of sexually harassing a former colleague, appeared before a women's court in New Delhi, where he was served a copy of the charge sheet. Metropolitan Magistrate Shivani Chauhan set 6 October for scrutiny of documents and furnishing of bail. The charges will be heard only on 22 November. He has been charged with sexual harassment, stalking and criminal intimidation. He was granted bail by the trial court against a personal bond of Rs 50,000. 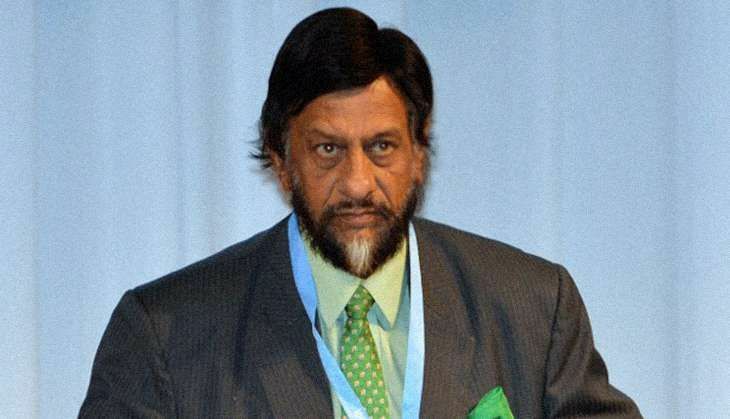 The court also allowed Pachauri to travel to the United States and Mexico from 12 July-14 August. Pachauri had been granted anticipatory bail by the Delhi High Court in March 2015. In February 2015, a 29-year old employee of The Energy and Resources Institute (TERI) filed a police complaint against Pachauri, accusing him of making sexually coloured remarks against her, besides touching her inappropriately despite her opposition, and sending her inappropriate text messages, WhatsApp messages and e-mails. A year later, on 1 March, the police filed a 1,500-page charge sheet, framing Pachauri on charges of outraging the modesty of a woman (Section 354 of the Indian Penal Code), making sexually coloured remarks (Sec 354A), stalking (Sec 354D), criminal intimidation (Sec 506) and word, sound or gesture to outrage modesty of a woman (Sec 509). On 14 May the court said it was satisfied that there was enough material to proceed against Pachauri. It dropped the criminal intimidation charge, instead adding two charges: wrongful restraint (Sec 341) and using criminal force with intention to disrobe a woman (Sec 354B). On 16 May, the complainant also filed a petition in the high court, seeking a fast-track court to be set up to hear her case. The chargesheet has named 23 prosecution witnesses, including former and current employees of TERI.